The "Drew and Mike Show," minus Mike Clark, who died last year, is returning to radio. iHeartMedia in Detroit announced the show will air on 106.7-FM WLLZ on Saturday and Sunday mornings from 8-11, Fox 2 reports. 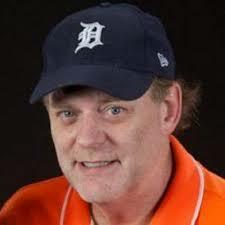 Drew Lane and Mike Clark were fixtures in the Detroit radio scene for decades. In 2016, the two started a podcast. The show will include content from their podcast, and different local radio and TV personalities will stop by the show. "I'm thrilled to be back on-air in a city I love," Lane said, according to the Fox 2 report. "I know my friend Mike would've loved to be back on the air and to broadcast on the iconic 106.7 WLLZ would've blown his mind."